WMG is a department of the University of Warwick and one of the founding members of the High Value Manufacturing Catapult. Its applied research is focused on low-emissions mobility, within Electric Vehicles, Lightweight Structures and Intelligent Vehicles, all underpinned by a broad range of capabilities in digitally enhanced manufacturing, supply chain operations and innovative business models. WMG’s research in advanced propulsion systems focuses on increasing electrification and hybridisation of automotive vehicles. Facilities include systems modelling and simulation, control systems, HiL Testing, electric machines, power electronics, electrical systems and charging. 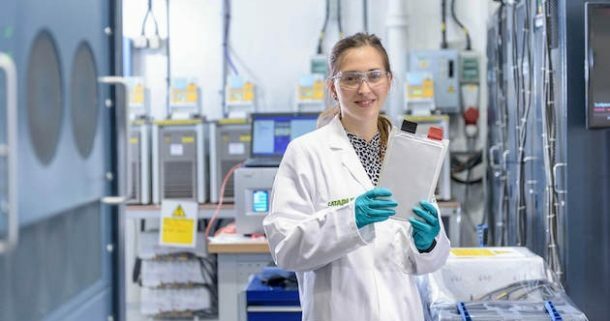 WMG’s Energy Innovation Centre is at the forefront of the development of new battery chemistries for automotive applications, employing some of Europe’s most experienced electro-chemical cell and battery development engineers and chemists. The Centre includes an open access battery scale-up line, battery manufacturing line, battery characterisation laboratory, abuse testing chambers plus an electric/hybrid drives testing facility. WMG’s research in Intelligent Vehicles is underpinned by a key facility: a drive-in, driver-in-the-loop multi-axis simulator. The simulator has a world-leading capability to fully emulate the external environment that a vehicle would encounter on road, for repeatable testing and verification. WMG’s intelligent vehicles research brings together several capability areas such as Complex Electrical Systems, Communications, Supply Chains and Cyber Security. This multidisciplinary approach enables WMG to understand the full scope of research challenges that will affect the practical implementation of this new technology and build research programmes with industrial partners to address real-world challenges. WMG designs and manufactures lightweighting solutions in response to the low-carbon agenda. Research covers multi-materials and includes the design and modelling of novel structures, advanced machining techniques using ultrasound and cryogenics, high-speed, low-cost composites manufacturing, additive layer manufacturing and metrology and 3D visualisation capabilities.